I’m not sure if I’ll ever figure out why Shigenori Soejima gave Izanagi (the main character’s original “Persona” in Persona 4) a shiny, metallic zipper-crotch. I’m not sure if he even knows himself. It is as though the muses of character design came down and blessed him with this mysterious aspect of the character. I’m sure the same muses came down when Kazuma Kaneko made Mara (NSFW) for the first time as well. Anyway, you can pre-order your own zipper crotch this week, along with a new release from Shining Hearts and some other pre-orders from Persona 4, Super Street Fighter IV, and Armored Core. Is it just me, or does every Shining Hearts character design seem extremely contrived? The last one I saw was a maid (that looked almost exactly like Sakuya from Touhou) with cat ears, and now we’ve got this somewhat-generic goth loli witch, covered in frills and topped by a much-too-large hat. Eh, I guess I’m just rather disillusioned with the “overly-anime” designs, if you get my drift. 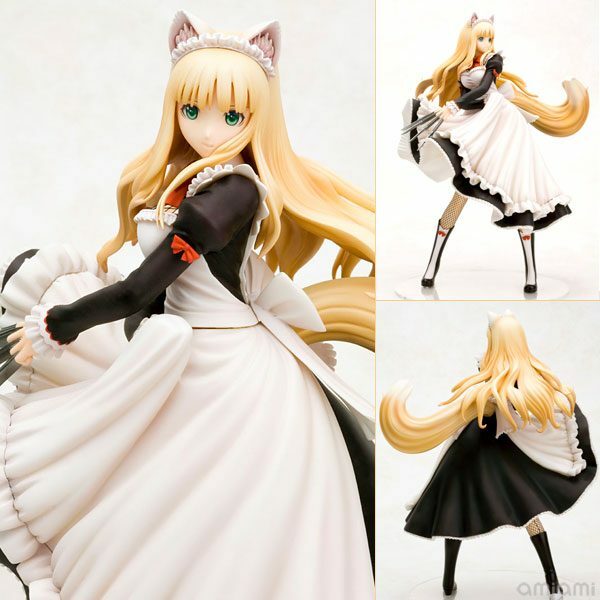 But if you aren’t, this is now available for purchase from AmiAmi.jp, though for me it’s much, much too expensive. The next set of MegaHouse’s Persona 4 cell phone charms are now available for pre-order, and, I must say, it’s somewhat disappointing. 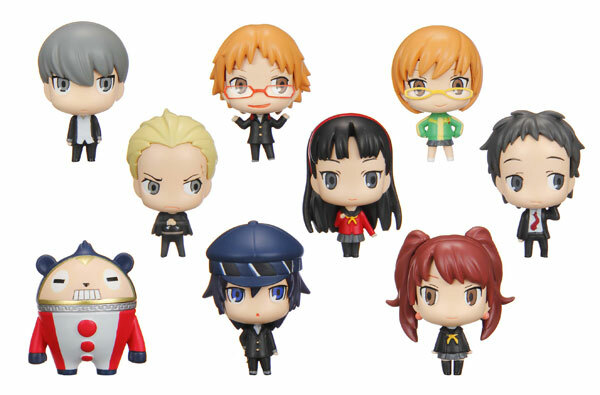 Though I am glad that they’ve added Kanji, Yukiko, and Adachi to the line-up, the rest are just rehashes of previously-released keychains; Souji, Naoto, and Rise don’t have glasses anymore, while Chie and Yosuke now have them. 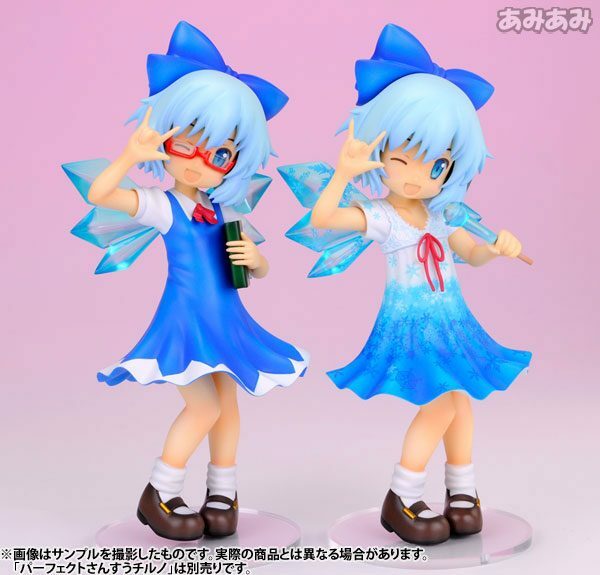 Aside from whether or not they have glasses, they’re the exact same ones released previously. And they seem to be making one Teddie for every character sprite he has, which is a bit much. You’ve already released one for every box set of keychains. But I do have a few of these cell phone charms that I bought from mystery boxes at a convention a few months ago (New Year’s Festival Aigis and Nanako), and they are very, very well-made cell phone charms, if you’re into that sort of thing. They’re currently attached to my pink DS Lite with a Disgaea cell phone strap. Despite (or, perhaps, due to, in part) the bizarre zipper crotch, I’m still a fan of Izanagi’s design. This seems like a solid enough figure; looks somewhat plastic-y, but they did an excellent job recreating the character. 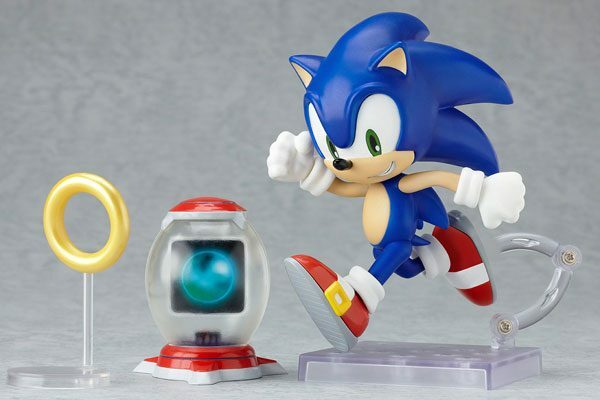 My only real issue is with the price; $82 feels extremely steep for something like this. If you’re a big Persona 4 fan with the cash to sling around, this would probably be worth it to you, but it’s definitely too high-dollar for me. I’d rather save up and get the Shigenori Soejima Ver. Aigis figure Alter is making instead. 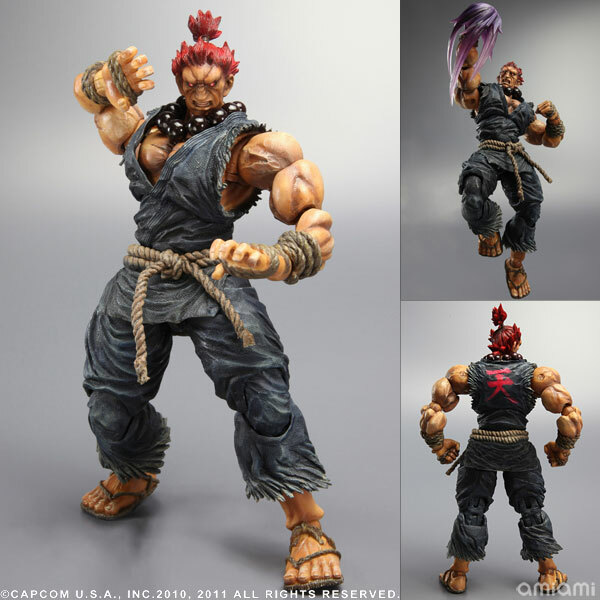 Play Arts Kai just keeps pushing out figures, it seems. I’m not as big of a fan of their Street Fighter figures as some of their other stuff; the joints seem too heavily visible, and they look rather chunky. They do an excellent job going into fine detail on the clothing and musculature, to the point where it’s almost silly-looking. 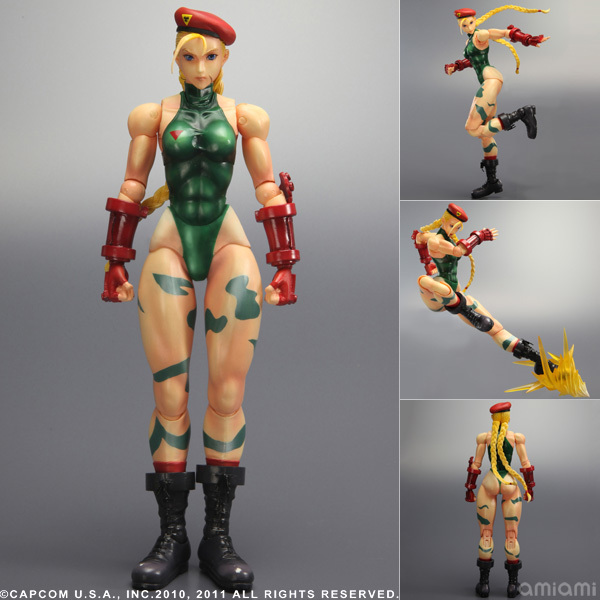 They’re too good at their craft, it seems, at least with their Street Fighter figures. I’ll stick with the MGS ones for now, thanks. 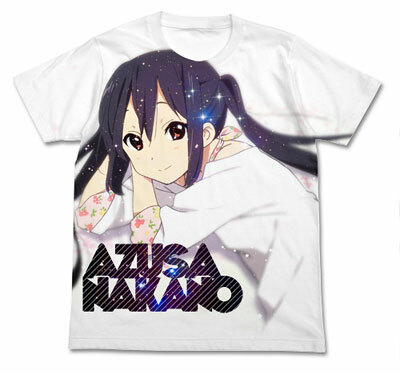 Cospa, the kings of pointless merchandise, are back with this new K-On!! t-shirt. The fact that it’s only available in a men’s XL for now should tell you all you need to know. It’s better than $200 anime sweatpants jeans.